- Configure GRID-IT!® your own way. 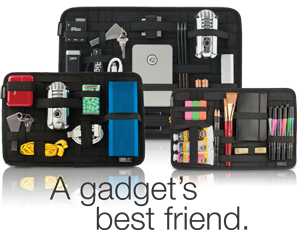 The GRID-IT!® organization system is a proprietary patent pending object retention system. A unique weave of rubberized elastic bands made specifically to hold personal objects firmly in place. GRID-IT!® is as versatile as life itself! Cocoon Innovations, LLC. All rights reserved.